I just adore the Ornate Mail pieces, I so wish they were plate so that I could use them on Mìa, but alas they are not. The belt and pants are my favorite pieces by far. Helm- Fiery Beholder Eye can be a tough one to acquire. It is dropped by a rare spawn in Shadowmoon Valley, Collidus the Warp-Watcher. If you plan to camp/farm him it may take a while to get this drop, he drops many other helms of the same model, but for different armor types. 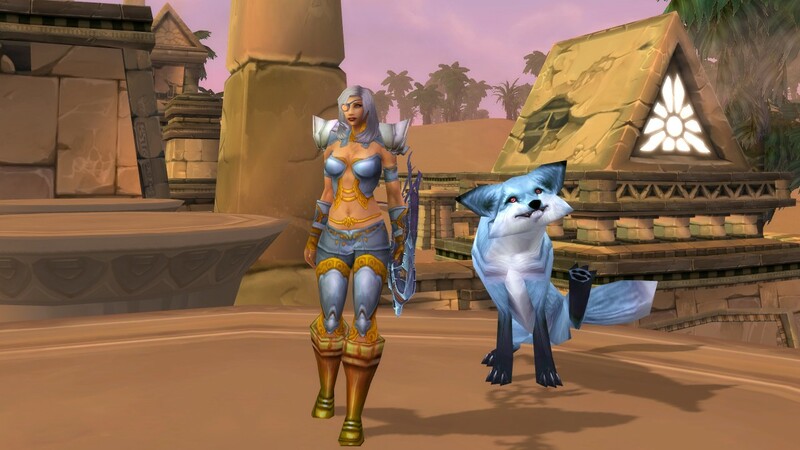 I was lucky and found this on the Auction House for only a few gold, but expect to see it going for hundreds, if not thousands of gold on your Auction House. Shoulders- Bonelink Epaulets I chose to use these shoulders for the set because I like their model much more than the Ornate Pauldrons. The Bonelink Epaulets have an extremely low drop rate, your best bet may be to check your Auction House. Chest- Ornate Breastplate There are several low level rare spawns that drop this item. As suggested in the Wowhead comments, you could load up _NPCScan and manually enter them to find them. Problem being, they will not always drop these Ornate items. 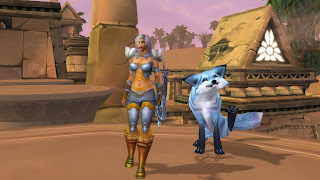 In Blasted Lands both rare spawns and regular mobs will have a chance to drop Flawless Draenethyst Spheres or Imperfect Draenethyst Fragments, these items start a quest. The reward for these two quests have a chance to contain parts of the Ornate Mail set and a few other highly sought after sets. If you happen to see any of these on the Auction House at decent prices pick them up, you can always sell the other pieces to other moggers. Gloves- Ornate Gauntlets, same aquistion as anything else plate. A nice alternative (one I would prefer if I could find them) would be the Sparkleshell Gauntlets. For shame, don't let this be you! 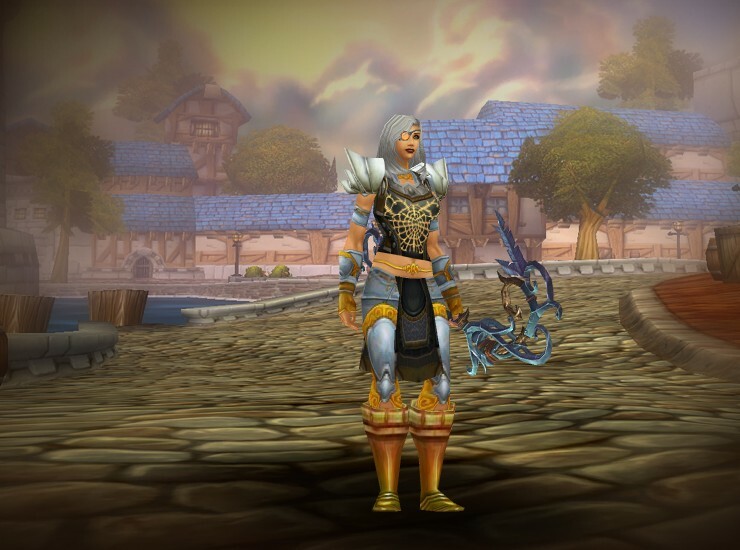 Belt- Ornate Girdle Sooo much different from the gigantic Wrestlemania belts we had during the first tier of Cataclysm. This belt is nice and delicate, but equally as finicky. With some armor pieces it will cut the item off, other times it will lay nicely on top without interference. Pants- Ornate Legguards Same stupid grind, same stupid low drop rate. Regardless of issues acquiring these, I just absolutely love these pants. I can't pinpoint why, but I just do. Feet- Sparkleshell Sabatons Don't get me wrong, Ornate Greaves match well. I just hate that boot shape, the Sparkleshell Sabatons offer a more flattering shape while having the perfect shade of gold. 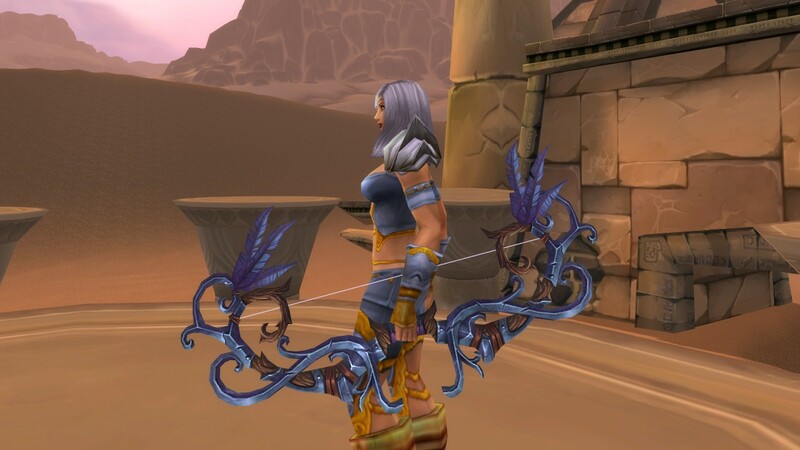 Bow- Ironfeather Longbow This does not share a model with any other bow in game, and is strictly a quest reward from The Path to the Dragon Soul, one of the quests you get doing Hour of Twilight dungeons for the first time. 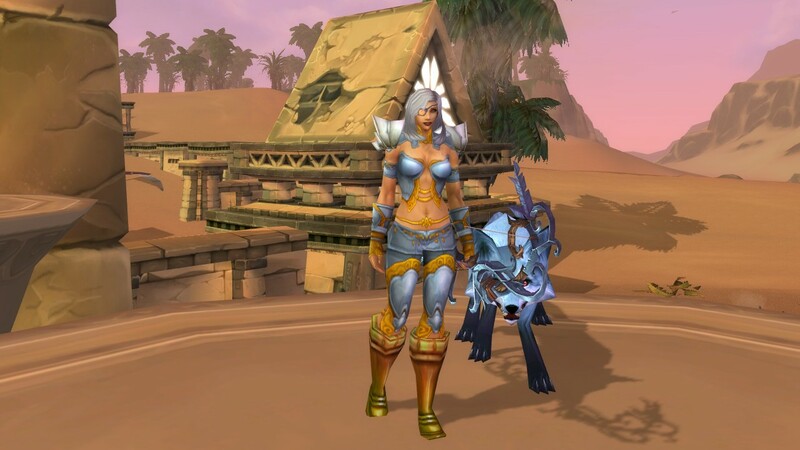 Lets hope you looked ahead and realized how awesome this was to mog instead of just looking at sell prices.